CARACAS, Venezuela -- Authorities detained six people suspected of using explosives-laden drones in a failed bid to assassinate Venezuelan President Nicolas Maduro, officials said Sunday. Interior Minister Nestor Luis Reverol on Sunday described it as a terrorist attack and said more arrests could follow within hours. Investigators have raided hotels and seized vehicles for details into the plot. 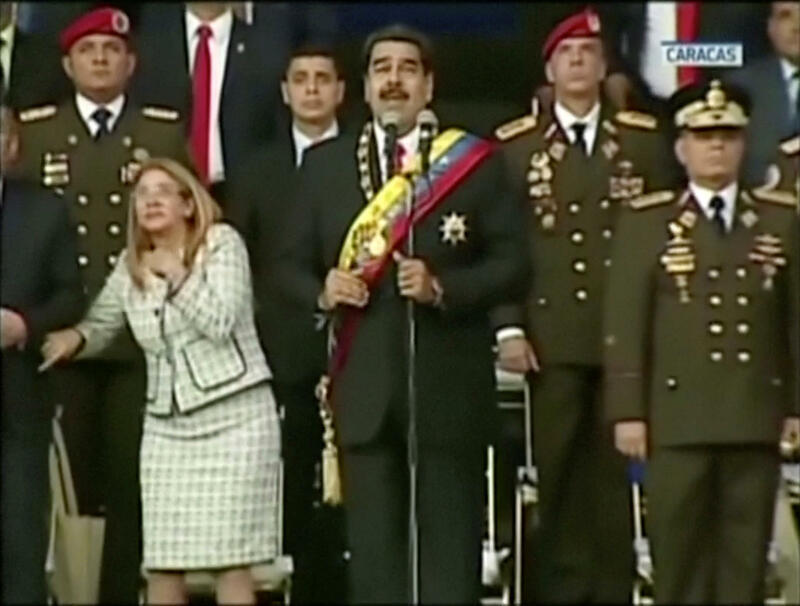 The assailants flew two drones each packed with 2.2 pounds of C-4 plastic explosive toward Maduro, his wife and other top leaders as he spoke Saturday evening at an event celebrating the 81st anniversary of the National Guard, Reverol said. One of the drones was to explode above the president while the other was to detonate directly in front of him, he added. Maduro, who also says that Washington supports his political opponents, called on U.S. President Trump to hold the "terrorist group" accountable. Mr. Trump's national security adviser John Bolton told "Fox News Sunday" that, "If the government of Venezuela has hard information that they want to present to us that would show a potential violation of U.S. criminal law, we'll take a serious look at it." David Smilde, a senior fellow at the Washington Office on Latin America who has spent decades researching Venezuela, said Saturday's incident did not appear to be a staged attack by Maduro's government for political gain.